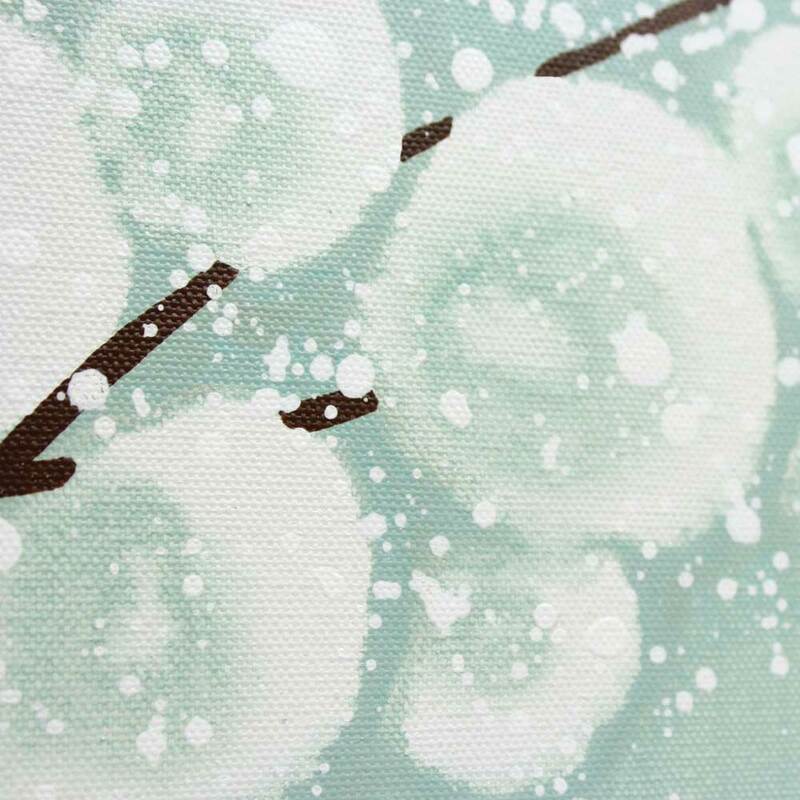 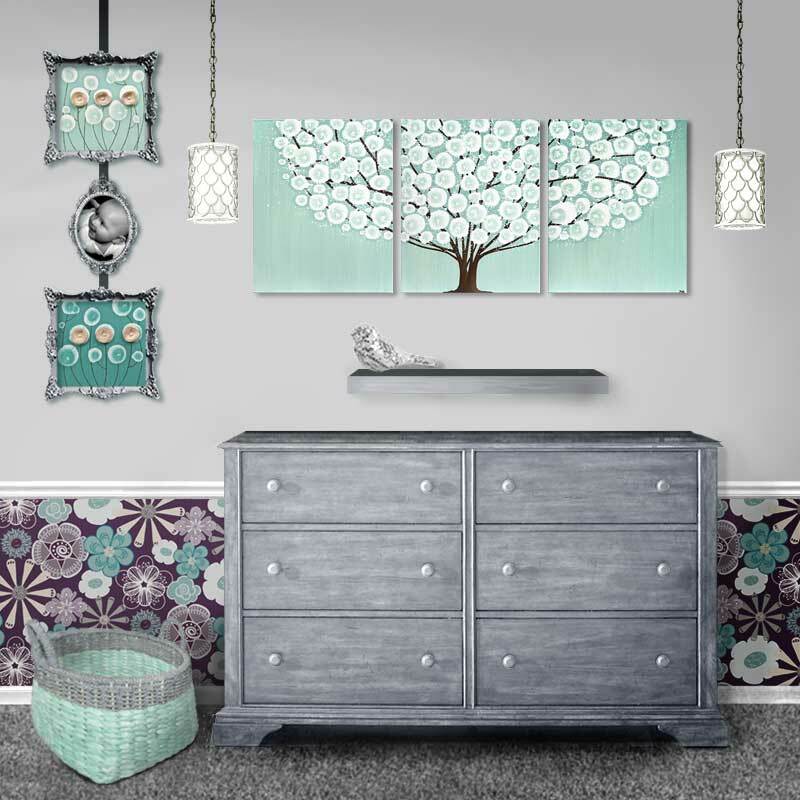 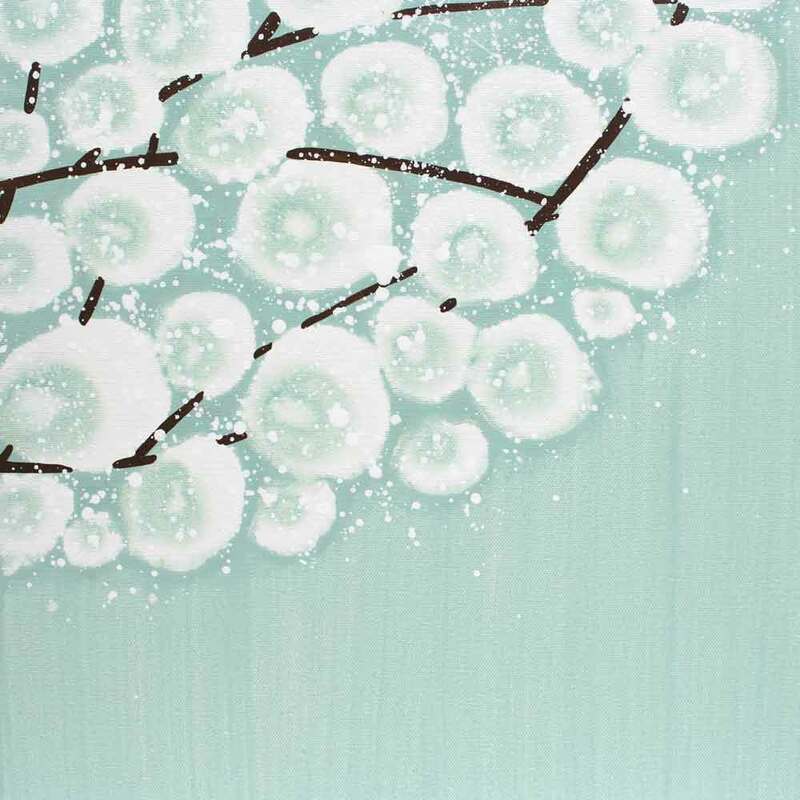 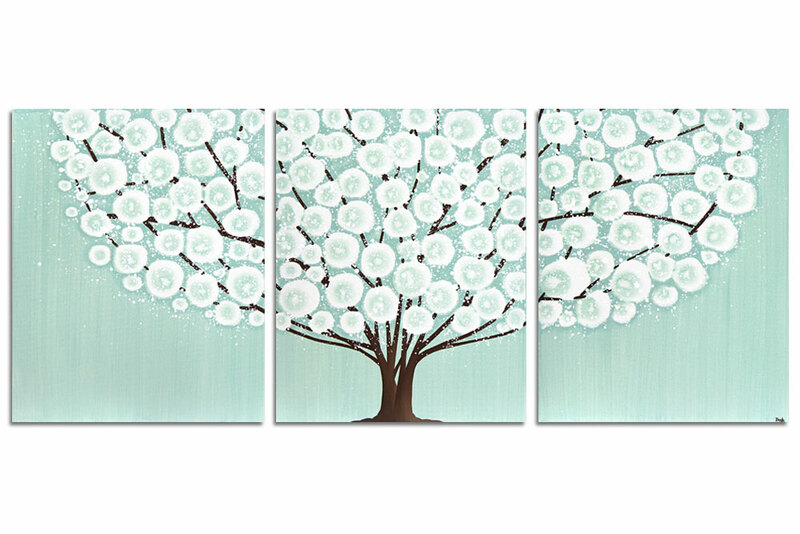 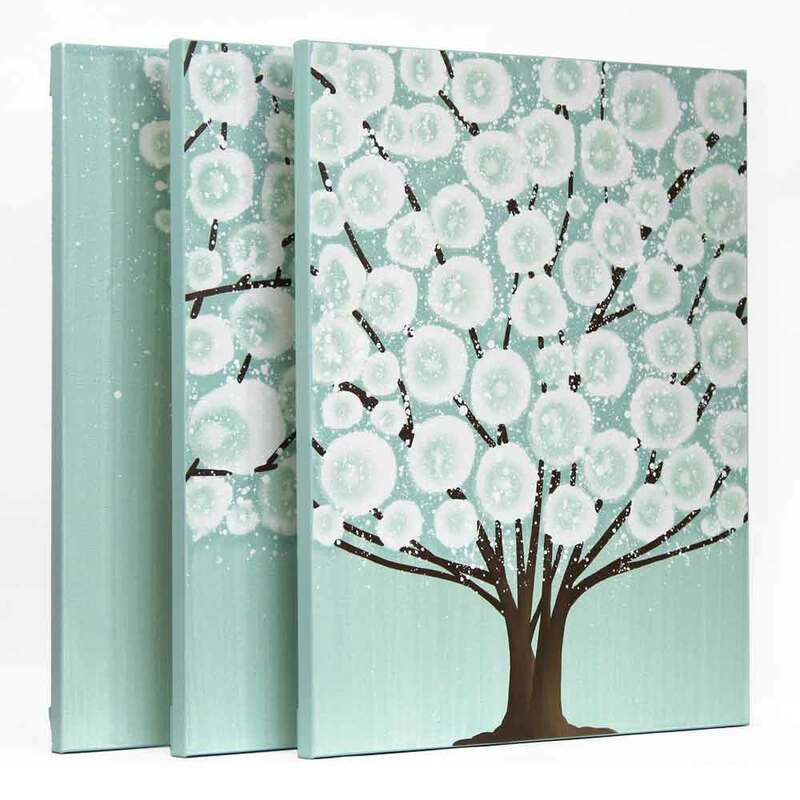 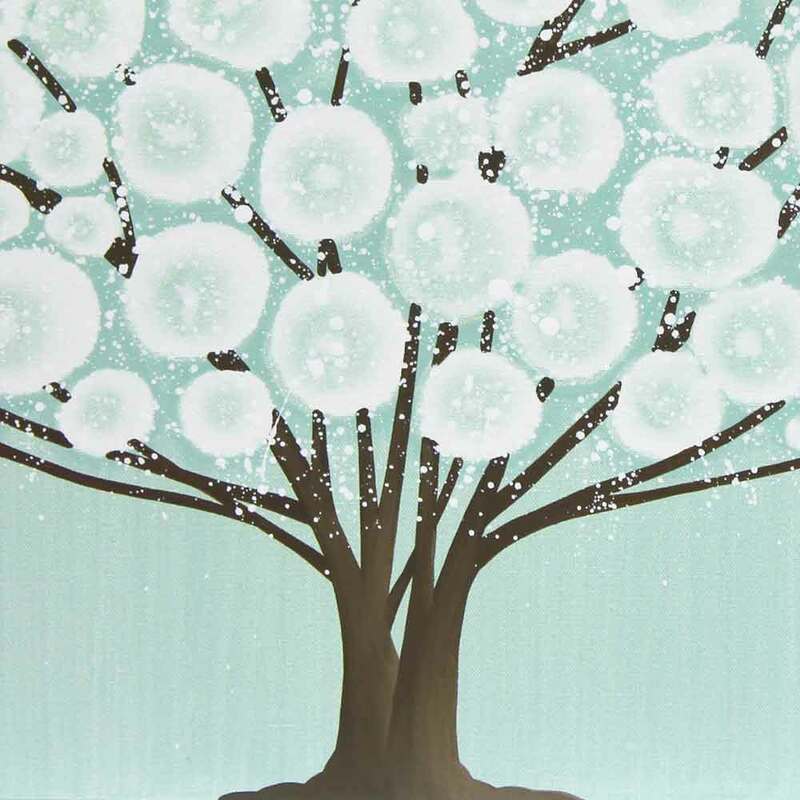 The sea glass color in this tree painting enhances the serene atmosphere of a teal bedroom. 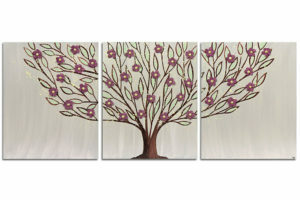 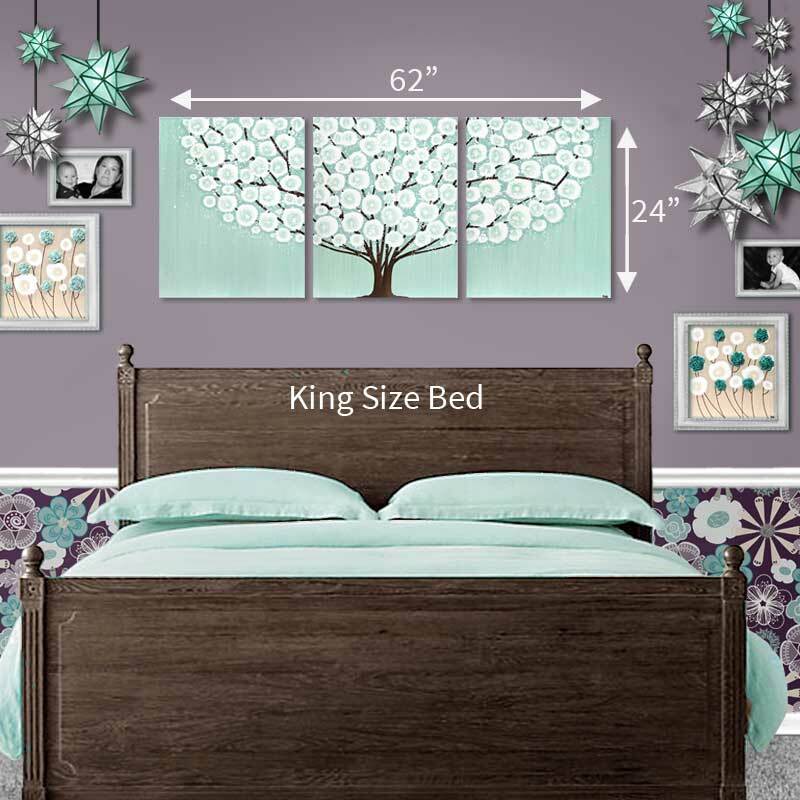 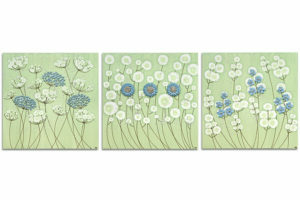 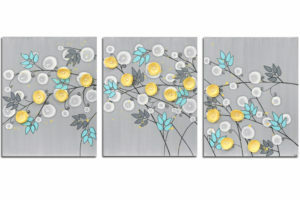 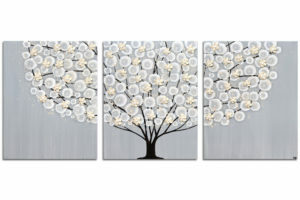 Three canvases hang as one large wall art that makes a beautiful focal point above a queen size bed. 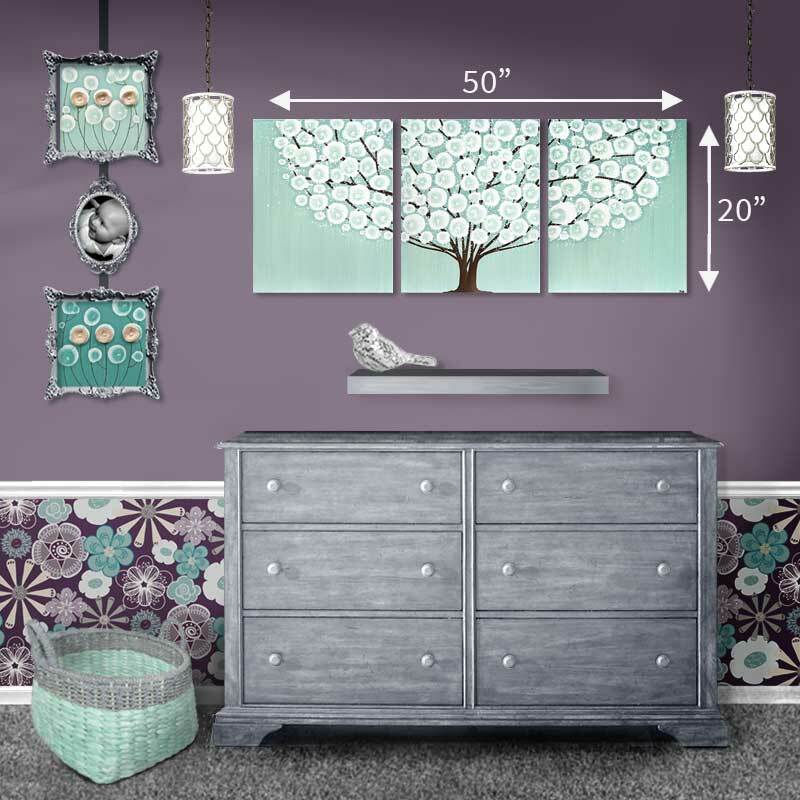 Coordinates well with white and dark wood furniture finishes.